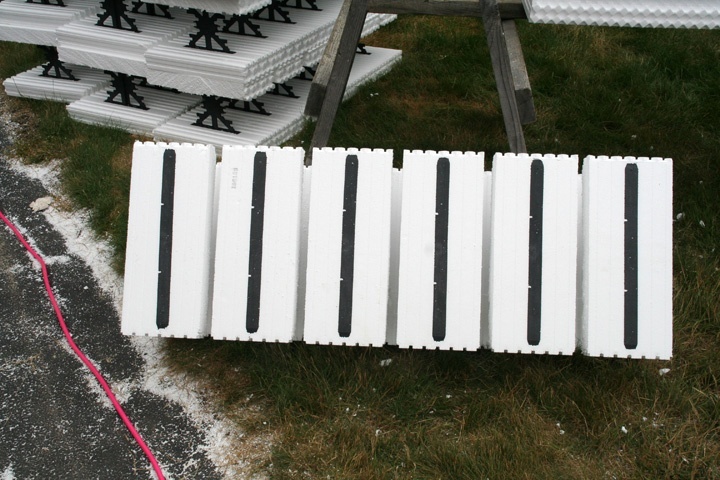 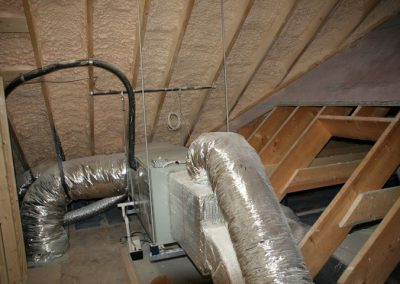 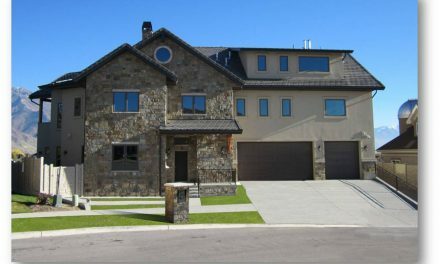 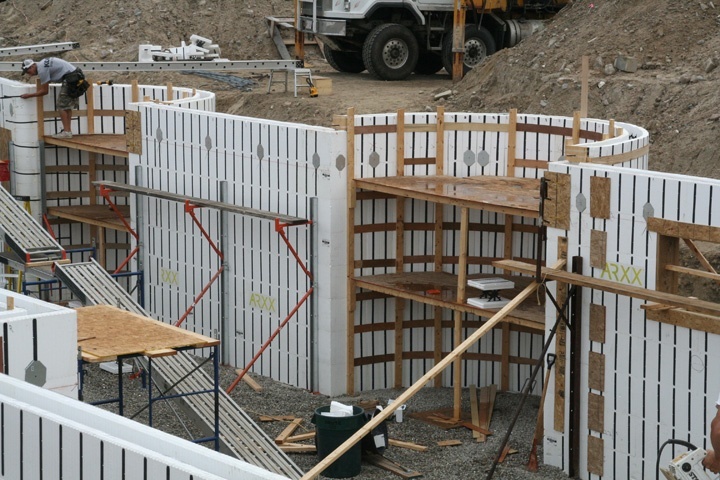 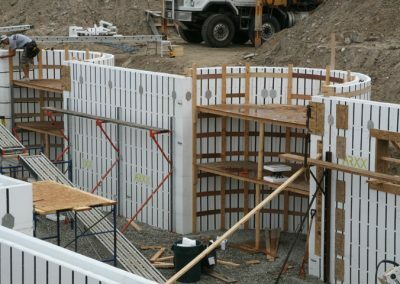 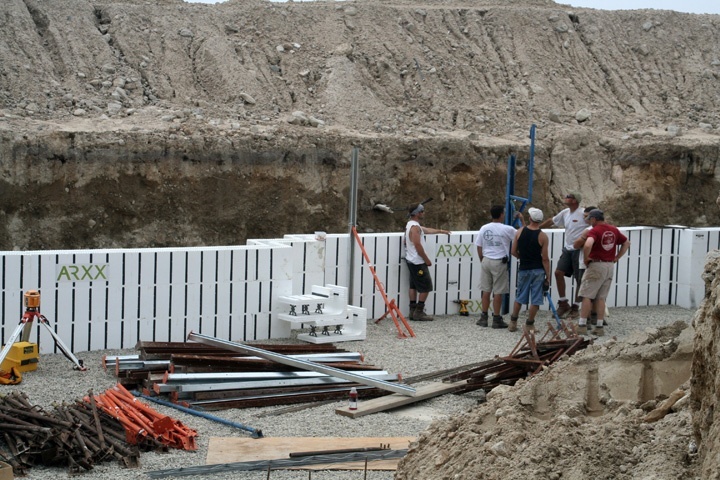 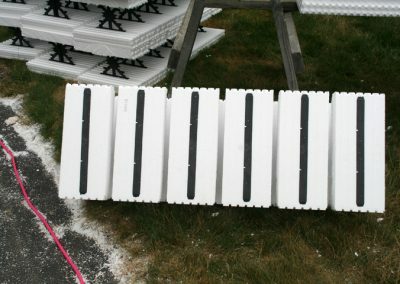 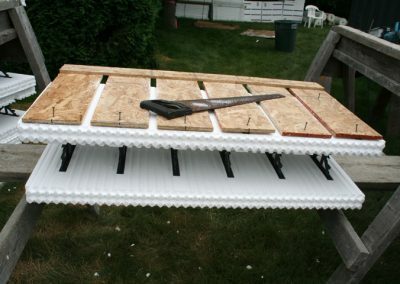 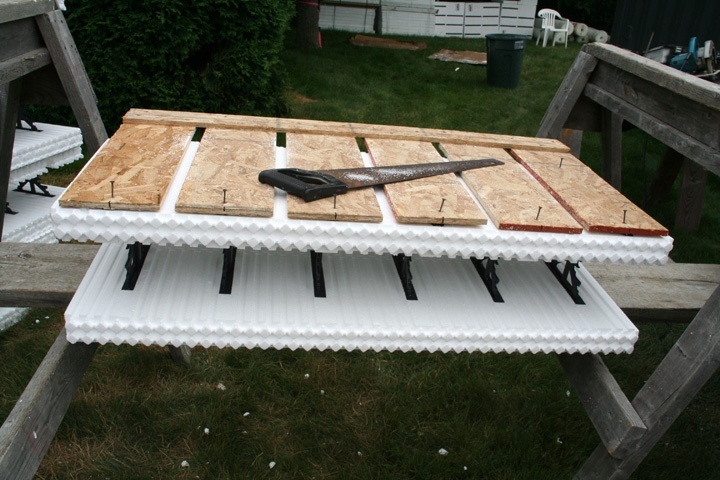 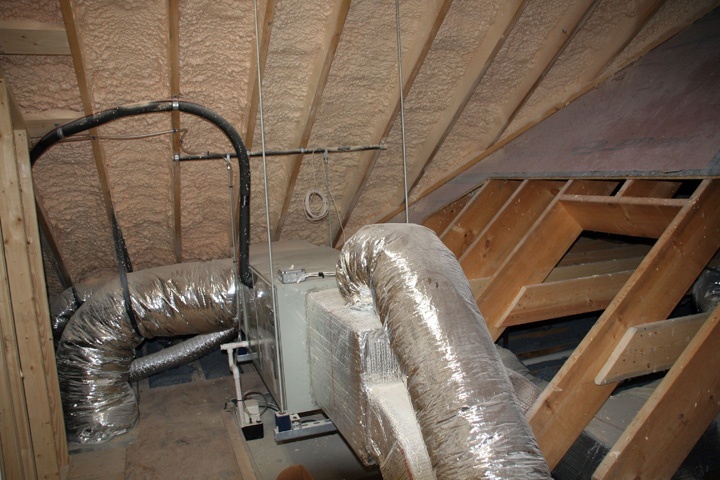 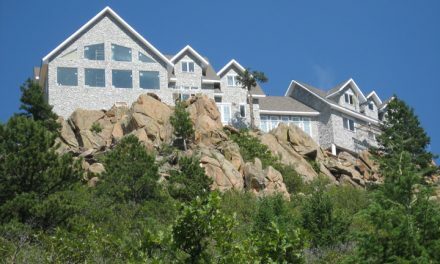 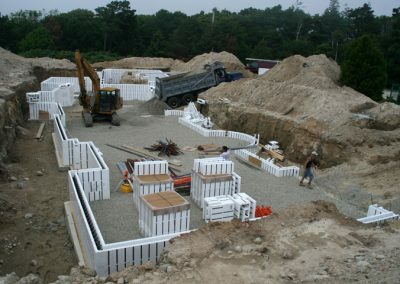 This was a first-time ICF project for everyone; the ICF installer, the architect, and the owner. 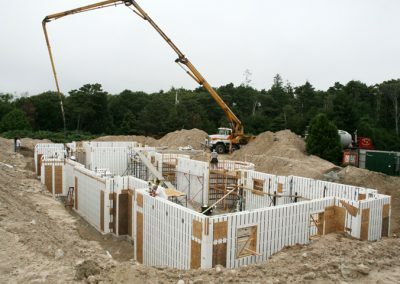 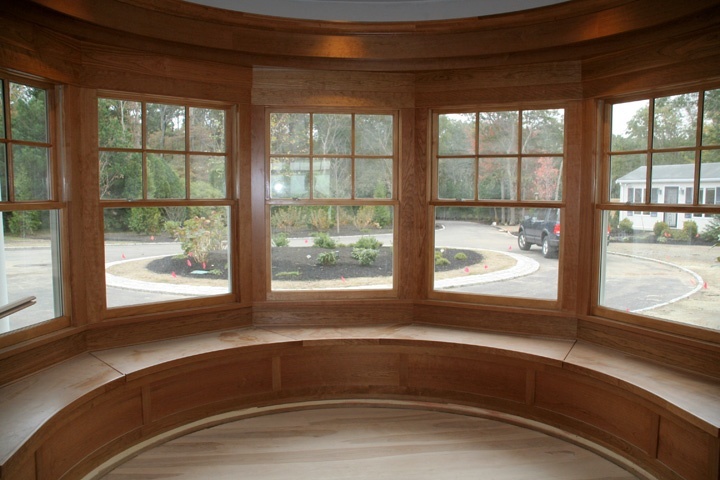 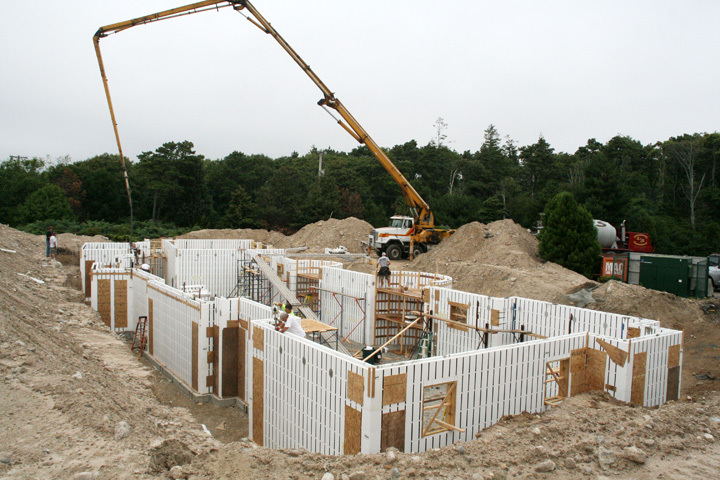 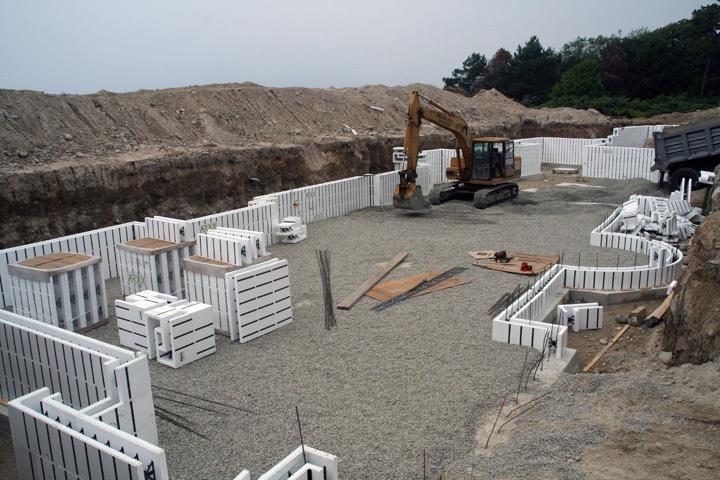 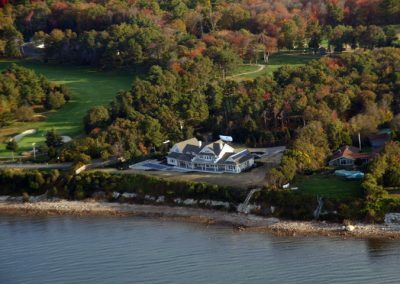 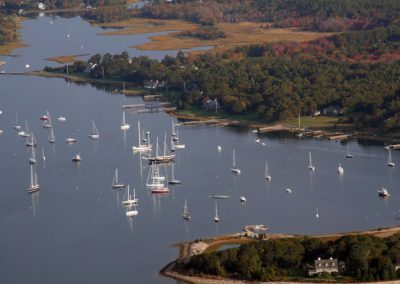 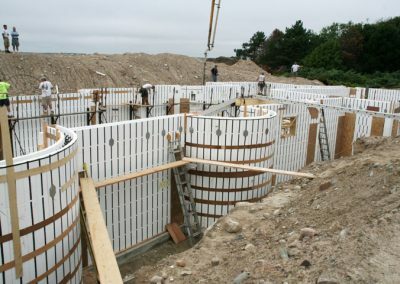 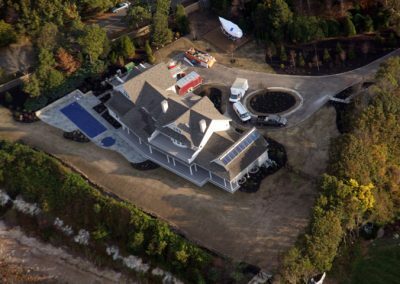 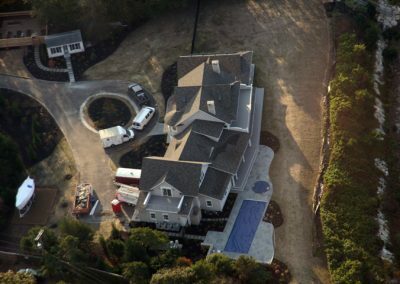 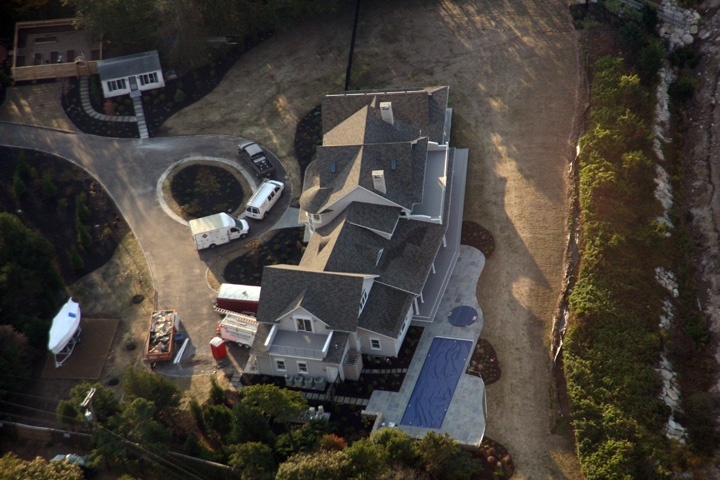 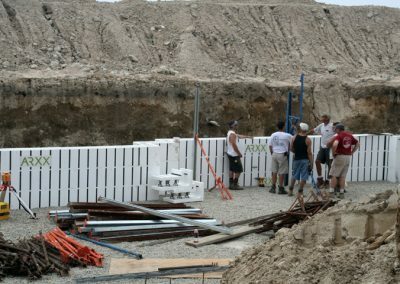 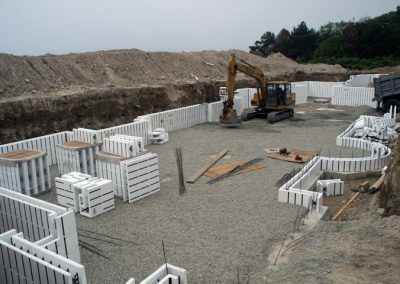 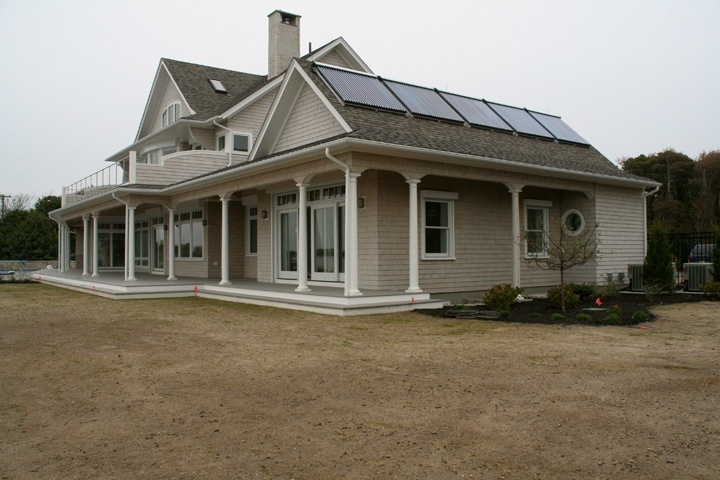 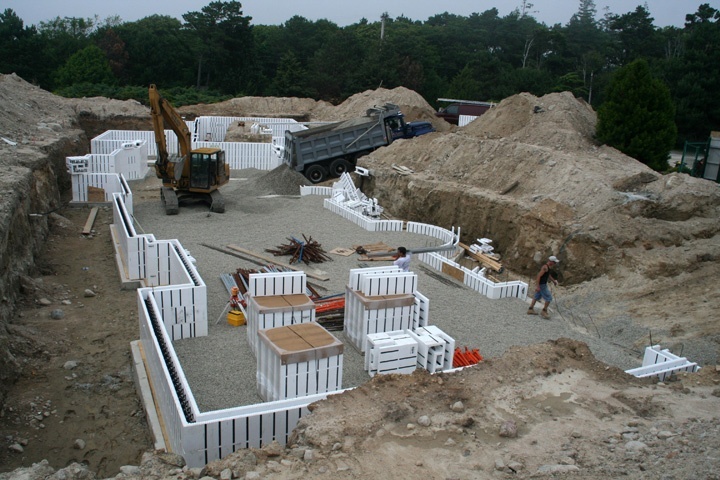 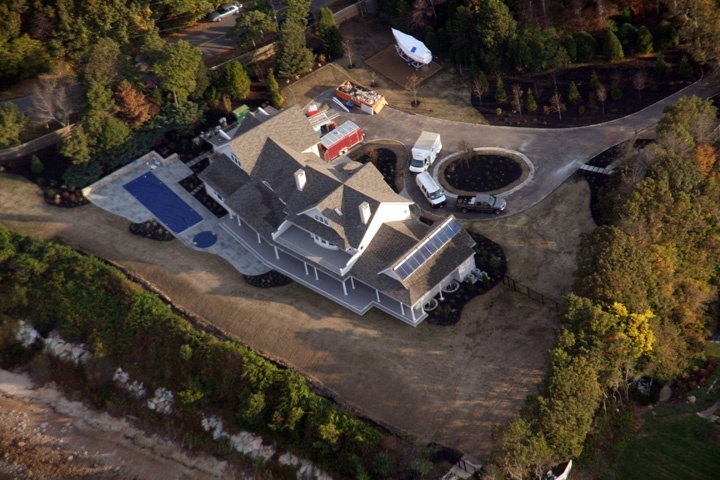 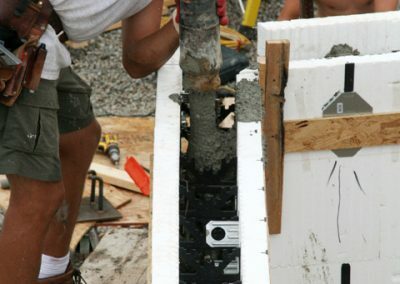 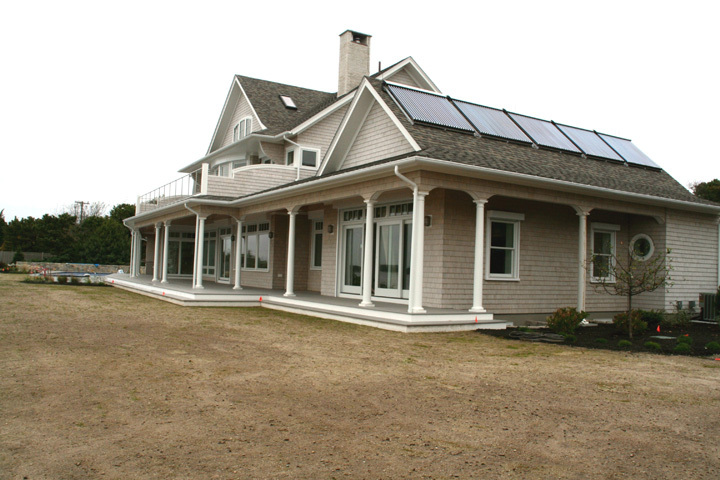 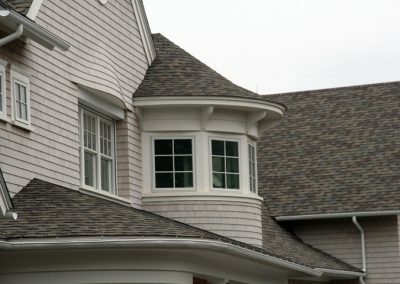 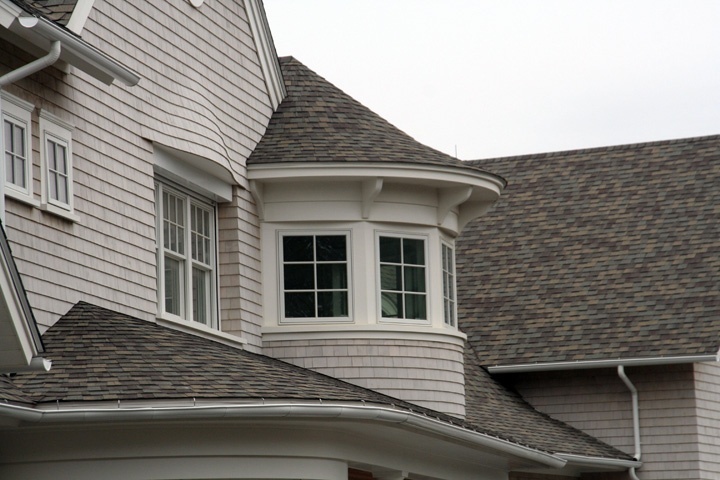 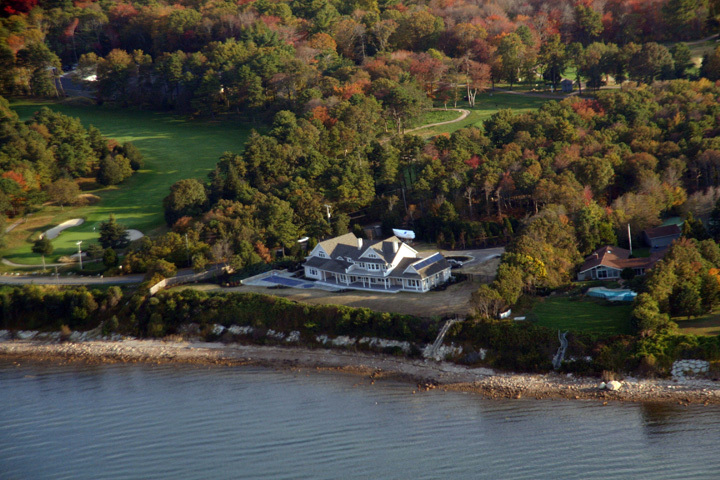 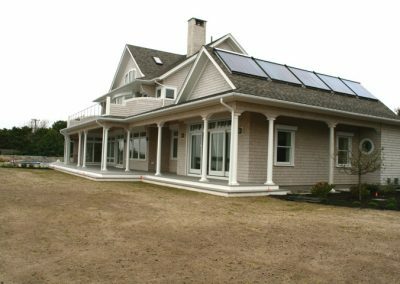 Built on a site just yards from the ocean at Cape Cod, ICFs provide the wind resistance required by local codes. 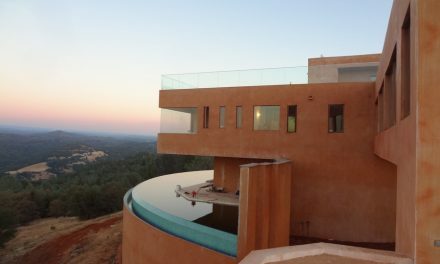 The architect, pleased that they provided no design restraints, drew up a plan with thirty 90-degree corners, two round towers, and several other unusual features. 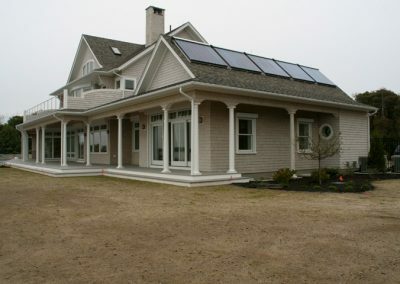 Plans also called for multiple green elements such as solar hot water. 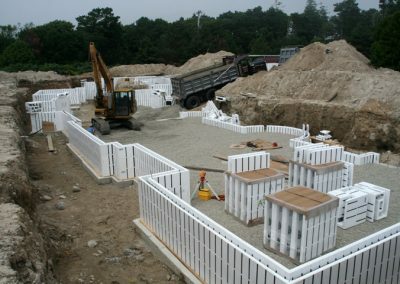 As an additional complication, the oceanside lot offered accessibility from one side only. 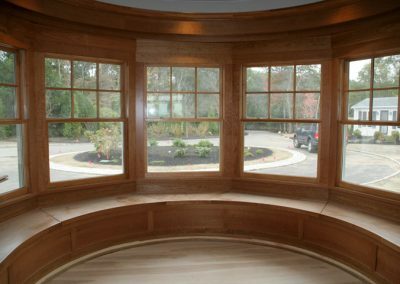 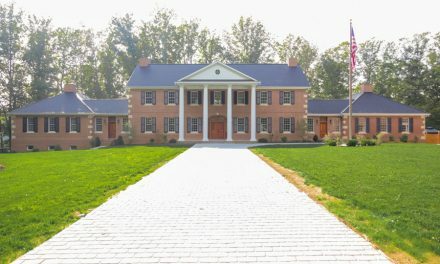 “You would never know that the crew that built this home had only eight classroom hours and eight hours of field experience,” says the form distributor. 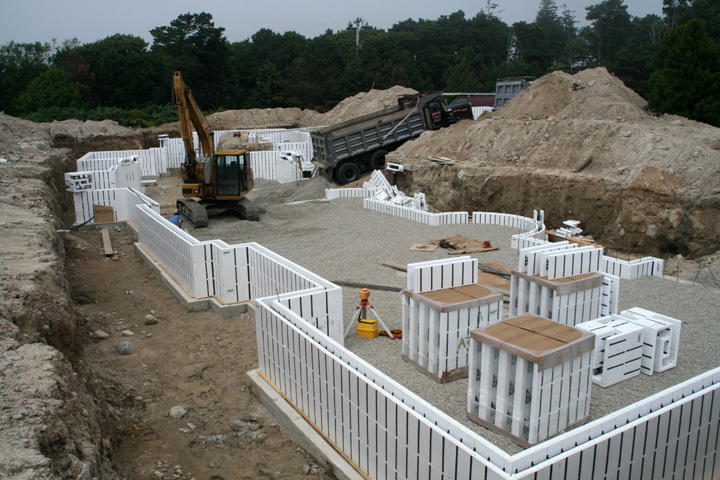 He also notes that this home has sparked a number of other ICF projects nearby.